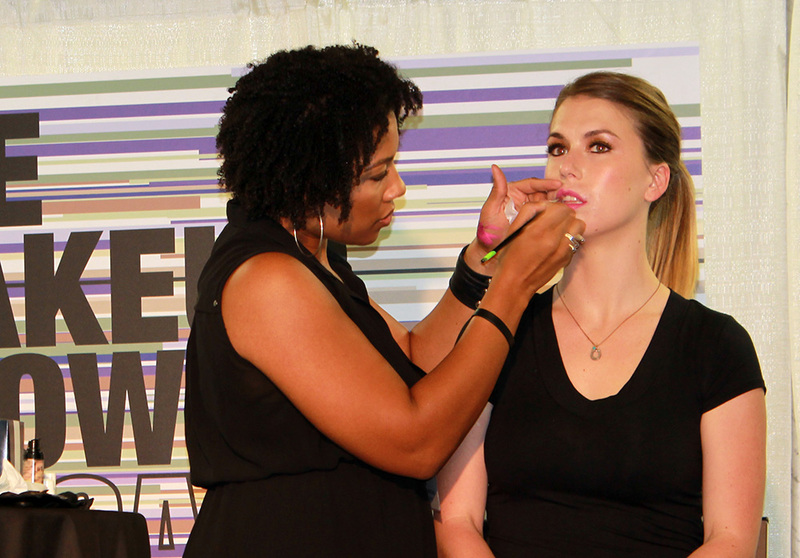 After 2 days of immense fun, learning and shopping, The Makeup Show Chicago 2014 has finally come to a wrap! Read on for a brief recap of some of my favorite moments from this year! 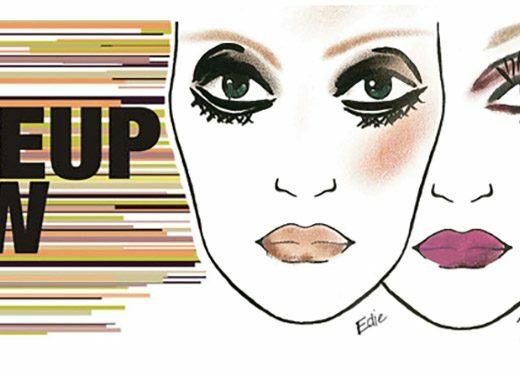 At Deconstructing Artistry: Techniques for Unconventional Beauty, Founder of Obsessive Compulsive Cosmetics David Klasfeld teamed up with Brand Manager & Director of Makeup Artistry Courtney Tichman to create 2 powerful, organic looks. The duo also show us a few non-traditional ways to use OCC’s iconic Lip Tars, including using the Clear one as a primer on the eyes and the Metallic formula as a blush. 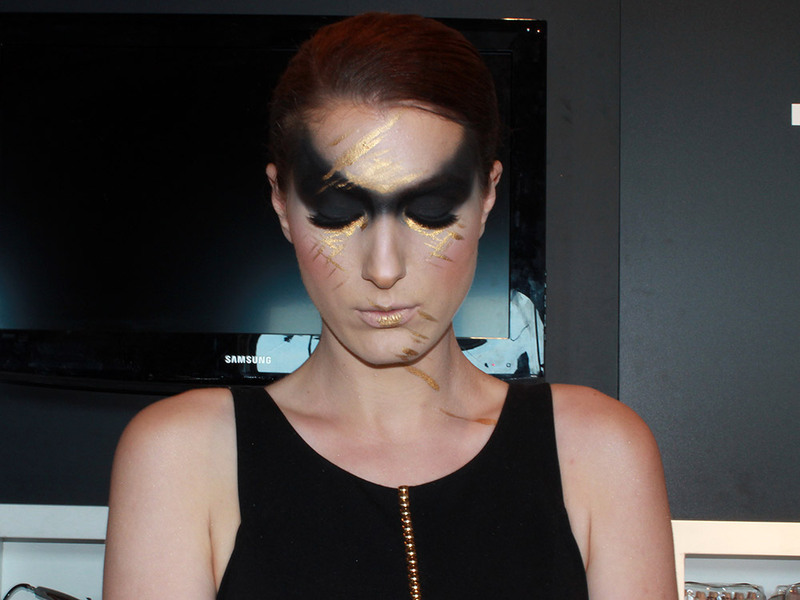 Next, I sat in at the How To Create A Multi-Dimensional Smoky Eye seminar by NARS Cosmetics artist Justin Heslop. 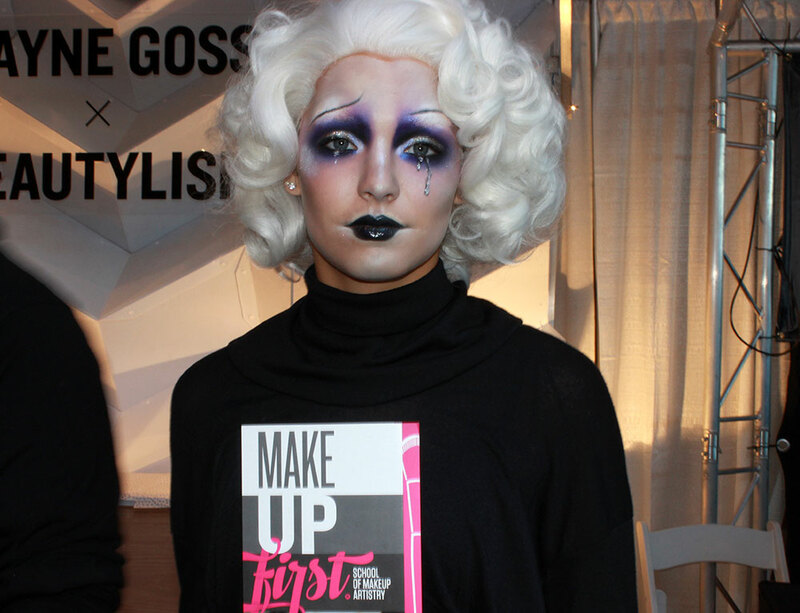 Using the latest Dual-Intensity Eyeshadow, a wet/dry shadow that made its debut at the show, Justin created a gorgeous smoky eye look and shared with us a few ways to nail Francois Nars’ signature makeup style: 1) Always do the complexion – primer, foundation, concealer and set with powder – before the eyes. 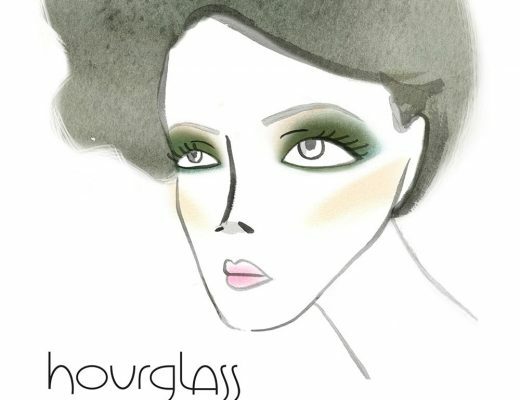 2) Lay out the basic shape of the smoky eye with shadows then use Light Reflecting Loose Setting Powder to diffuse the edges and sweep away any shadow fallout. 3) Add in a bit of blush on the crease then blend towards the temple to make the smoky eye less disconnected from the rest of the face. 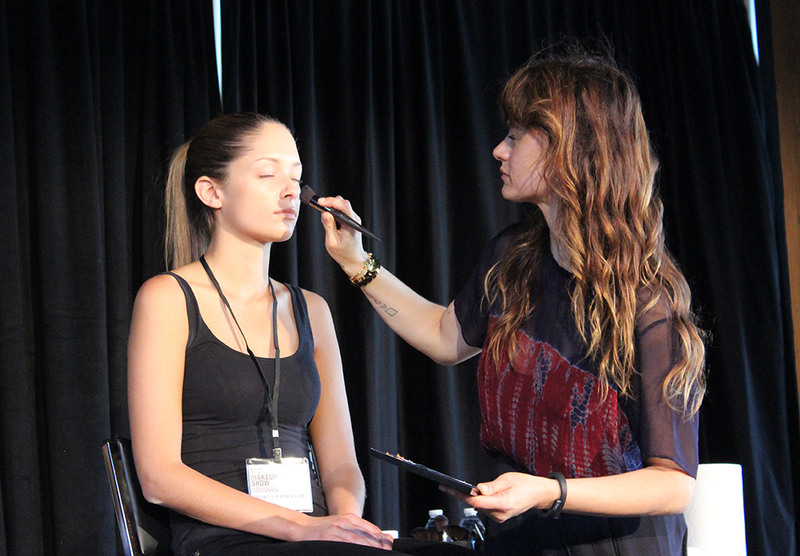 At Creating Celebrity Style, top notch celebrity makeup artist Pati Dubroff, who has a long line of A-list clients including Naomi Watts, Natalie Portman, Kate Bosworth, Eva Mendes and more, shared with us a few of her must-haves and tricks. Pati pointed out that the key to nailing red carpet makeup is to work with the stylist and create makeup that complements, not distract. Instead of using powder, Pati is big on priming and loves a mattifying primer in the center of the face and an luminizing one on the sides. Some of her faves? L’oreal RevitaLift Miracle Blur, Kiehl’s Micro-Blur Skin Perfector and NARS Light Optimizing Primer Broad Spectrum SPF 15 (also one of my HGs!) She is also a HUGE fan of SUQQU Foundation (a Japanese line only available in the UK and Asia) and uses 2 shades on her clients – a lighter one in the center and a darker one on the sides, which helps to contour. 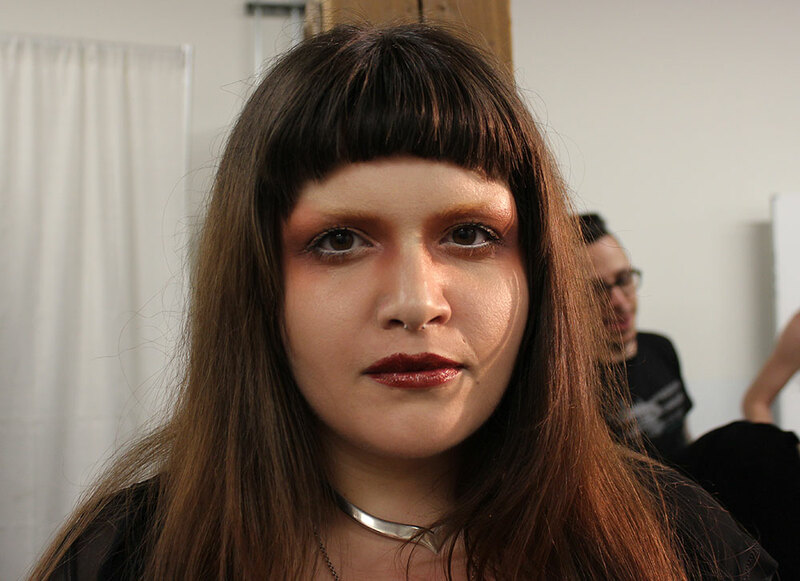 Then at the Runway Trends seminar, MAC Senior Artist Victor Cembellin, whom I’ve had the pleasure of meeting at the MAC PRO Sculpting The Face Master Class, gave us the low down on the hottest trends from the Spring/Summer 2014 runways. 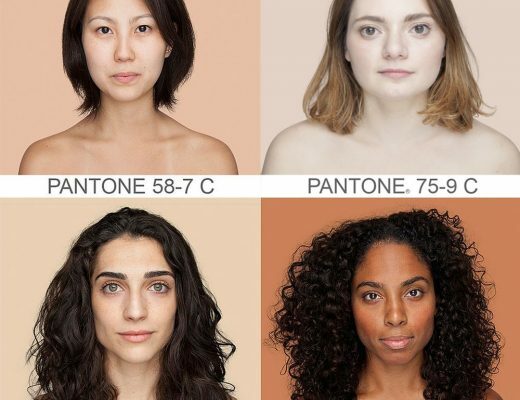 1) Day Glow is all about “raw” or as the everyday customer calls it, “real” skin 2) CC-Through Colour involves the use of color (lilac and peaches) but in washes for a “real” effect 3) Light FX, is the use of light and white, as seen at various shows I attended including Altuzarra and 4) The New Eye-Deal, which involves making classic beauty statements like block eyeliner but in a modern, never-before-seen way. The end result? 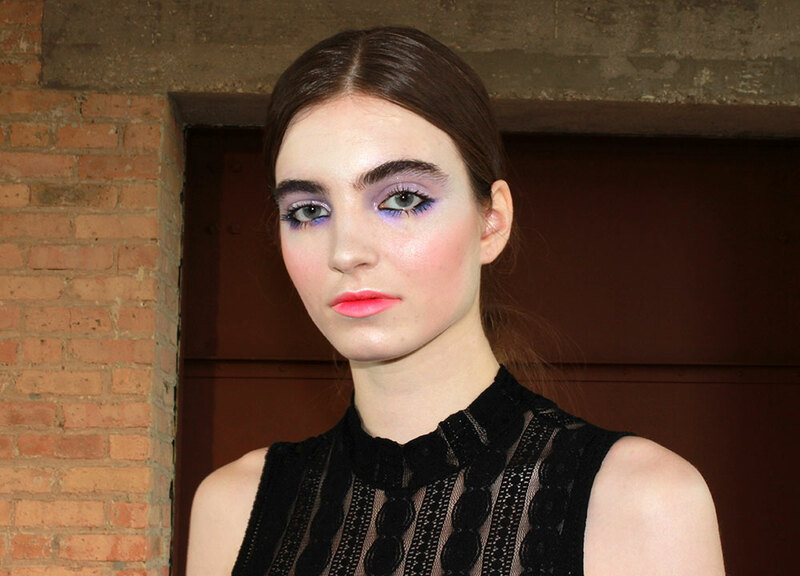 An insanely beautiful yet modern runway look. Let’s not forget Make Up For Ever. 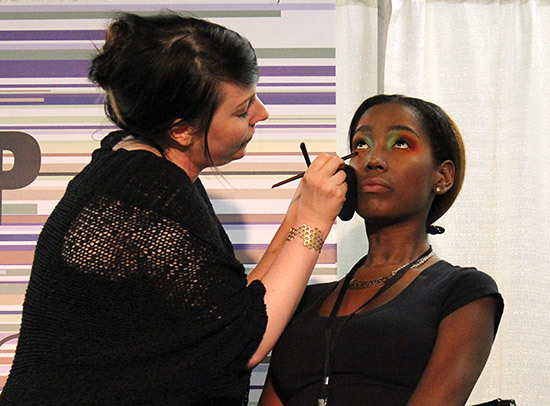 During Color Explosion: From Beauty to High Fashion, Make Up For Ever educator Jessie Powers demonstrated how to create a vibrant eye look using Make Up For Ever Flash Color Palette. Jessie stressed the importance of building a classic base before working with color and to always start out sheer when working with creams and setting with a powder – be it eyeshadow, blush or even loose powder – to prevent creasing. And lastly, a few more highlights from the show. 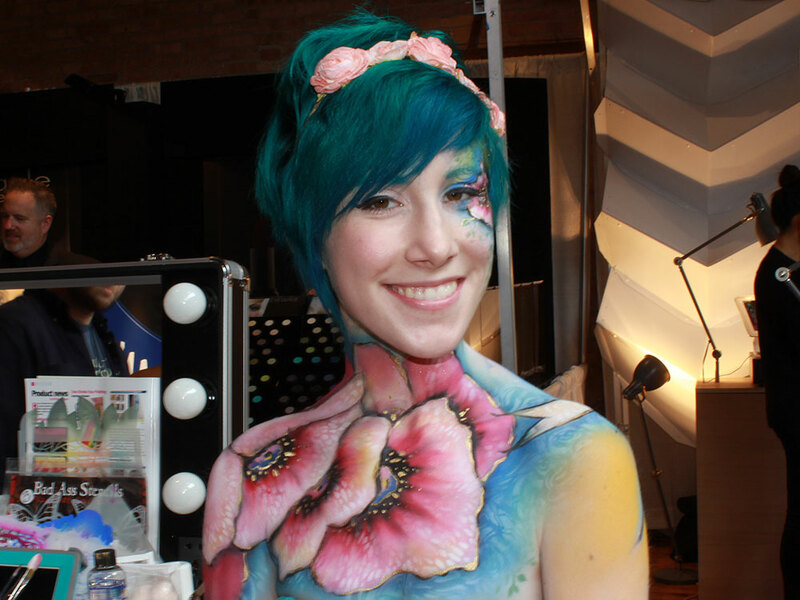 Temptu showcasing its best - airbrush!